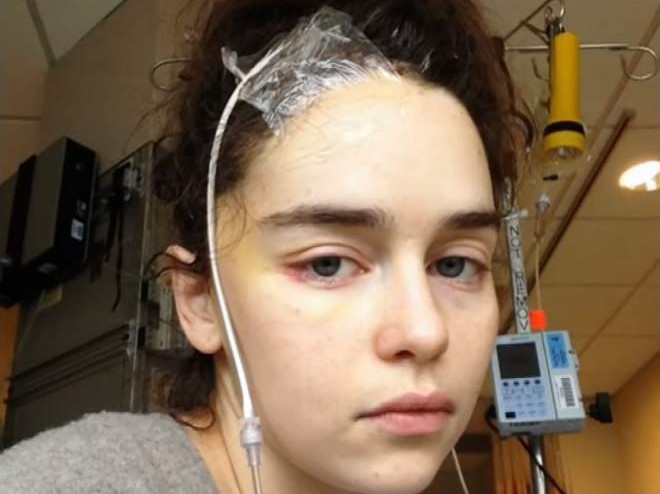 ‘Game of Thrones’ star Emilia Clarke has released unseen photographs taken during her recovery from a life-threatening brain aneurysm in 2011, when she was just 24 years old. Clarke, now 32, made an appearance on ‘CBS Sunday Morning’ where she recalled the dark place she went to after her surgery, and shared images from her hospital stay, reports Daily Mail. During the interview, Clarke also admitted what it was like to return to the set after her brain haemorrhage which happened after filming season one of the show. She said that once she returned to shoot the second season she had no time to “question her own mortality” because she was too busy playing a “badass character who walked through fire”.